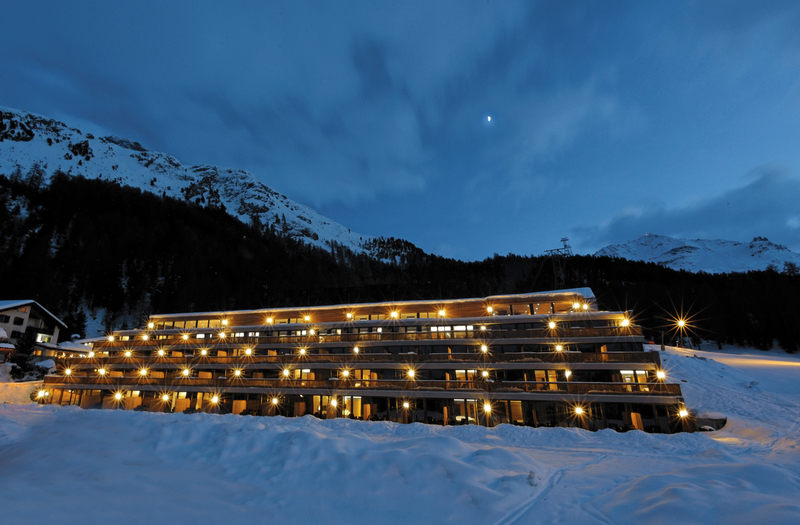 A modern building perfectly placed for ‘Ski in, Ski out’ with its direct access to the slopes and a private tunnel leading directly to the Surlej-Corvatsch cable car; one could not find a better placed hotel. 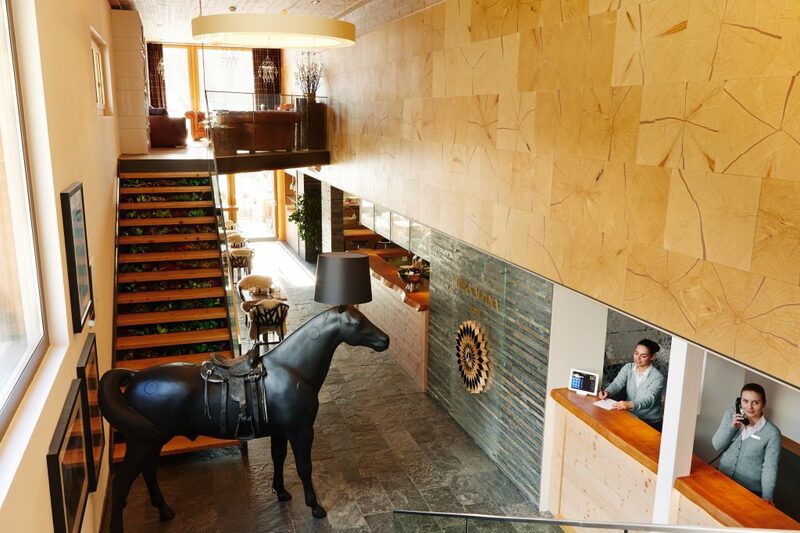 The Nira Alpina does not follow the typical style of many of the palace hotels of St.Moritz, it has taken its own path and discovered its own unique and very refreshing style. 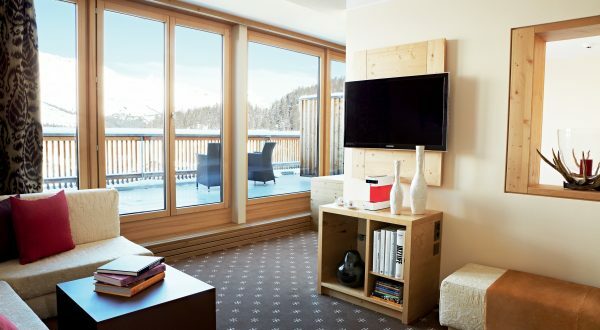 Instead of high-end glitz or traditional Alpine, the Nira Alpina has a more quirky style; from the contemporary art and fashion photography adorning every wall and corner to the genius architecture that allows for huge panoramic windows to take full advantage of the beautiful grand vistas of the Engadin landscape. 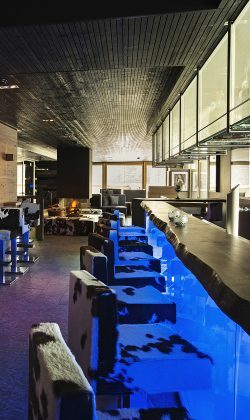 The place seems to have discovered the perfect balance between using traditional materials of wood, granite and sheepskin to all the contemporary art and technology that modern day living demands. On arrival at reception Cheeky and I were treated to a drink from their wondrous Smeg Fiat 500 Mini bar, which is basically a converted front section of a Fiat 500. Just a classic example of the ingenuity and creativity of the hotel. It was then time to head up to the upper floor to see our Junior suite. As we entered, the huge wall of glass that looked out across the valley to such mountains as Piz Albana, Piz Nair and the Corviglia ski range was just breathtaking, the kind of view that one could just sit for hours watching. This of course meant that the light in the suite was a gorgeous natural light which brought the best out in the natural woods and textiles. The stone bathroom was pretty spacious too with large double sinks and Cheeky appreciated the walk in dressing room with floor to ceiling mirror. This suite is one of 70 rooms all with super-king super-comfy beds. Once settled it took no time to head straight up the mountain due to it direct connection to the Cable car. We skied our legs off for the whole day in perfect conditions and the final ski back to the Nira Alpina though the pines was just charming, everything one would want for the last run of the day, especially because the piste delivered us straight back to the hotel. It was now time to change and unwind in the Spa. 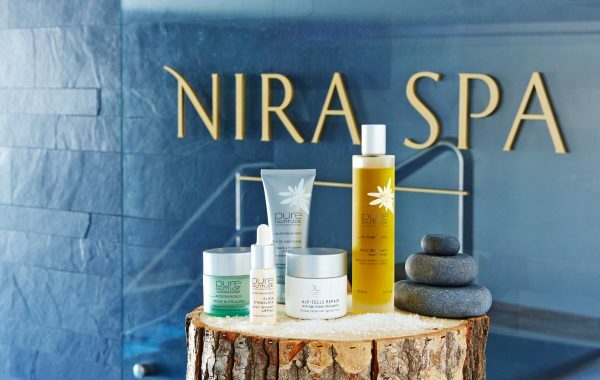 The Spa is run by ‘Pure Altitude’ as seen in various Alpine luxury retreats and it delivers everything one could want from a relaxing spa experience at the end of a hard day’s work in the mountains. 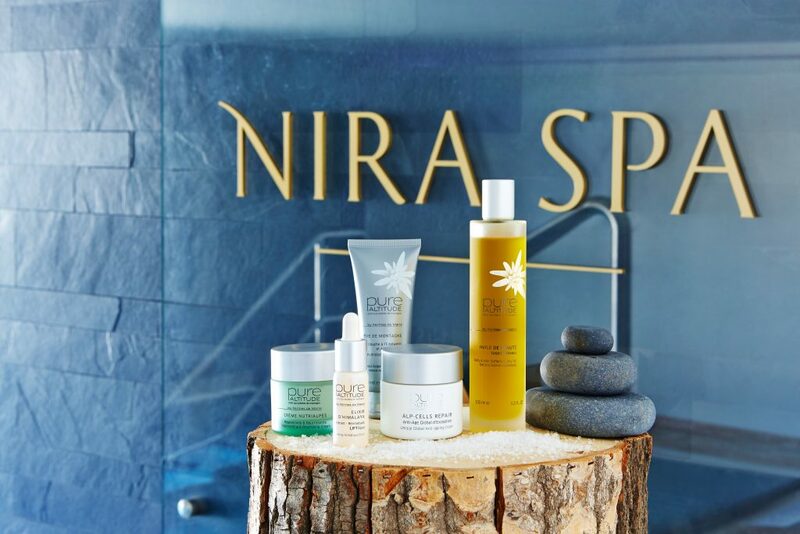 One can visit the fantastic therapists for a vast range of treatments covering everything from your feet to the top of your head all using the natural ‘Pure Altitude’ range of products. On this occasion Cheeky and I went for the relaxing full body massage together in the same room delivered by Maria and Romina; I am sure I fell asleep at one point… I just hope I did not snore! Now we were to find out what the Nira Alpina had in store for our bellies. 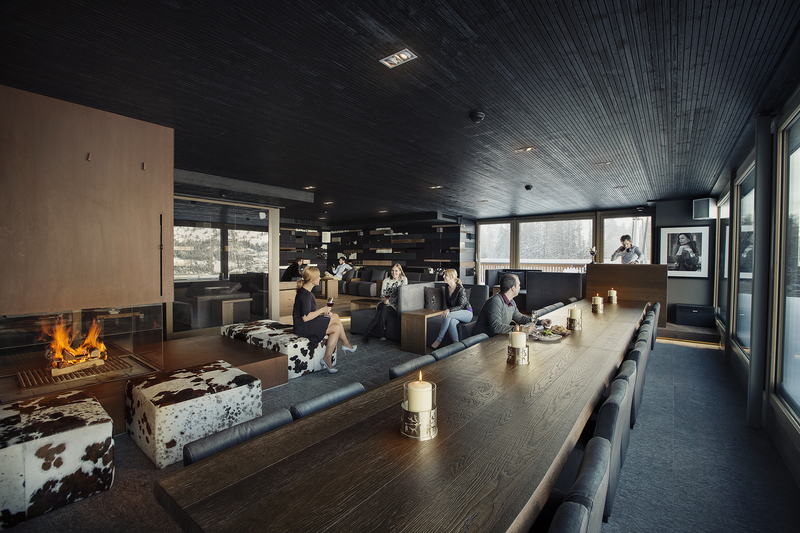 We made our way to the restaurant on the top floor of the hotel called ‘Stars’ under Executive Chef Florian Mainzger. 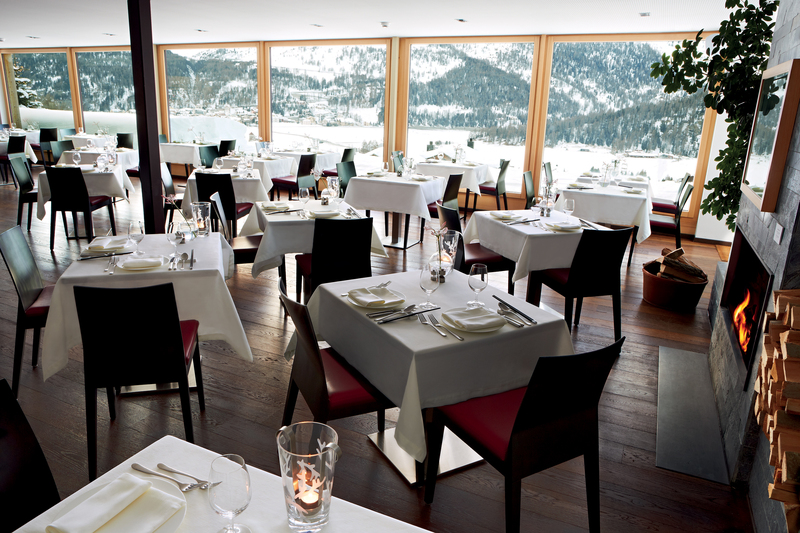 St.Moritz is well known for its cuisine and ‘Stars’ would hopefully not disappoint. The restaurant has panoramic views on an even grander scale than our suite and the vibe was cool, contemporary and relaxed with plenty of space. 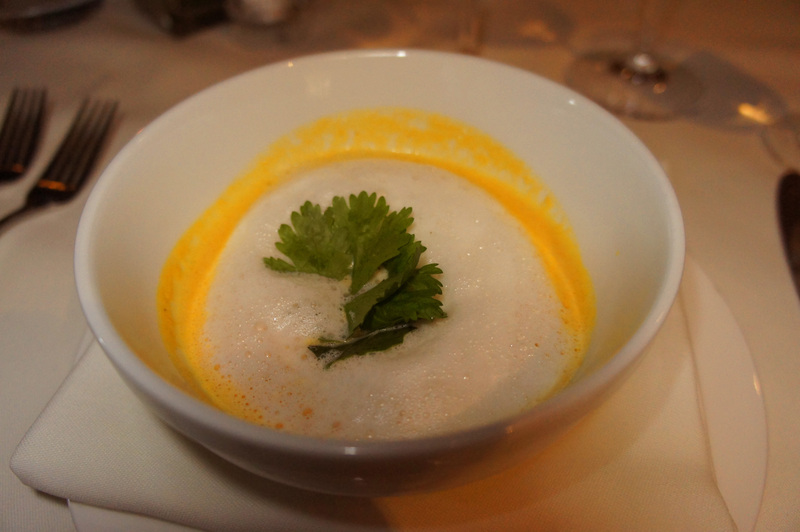 Both Cheeky and I began the meal with a delightfully refreshing smooth pumpkin soup with caramelized maple syrup, red chilli, coriander and coconut milk foam which had hints of the far east. Alongside the pumpkin soup we drank the Swiss ‘Bianco Rovere’, a smooth, rich and fruity flavoured white wine. Tartare is my ‘go-to’ test piece for restaurants, so the Beef tartare from swiss prime beef with beetroot salad it was to be. I am glad to say that I was not disappointed in the slightest. 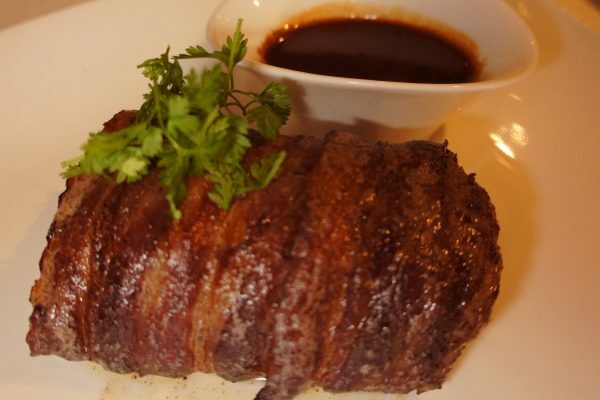 With most of the ingredients having been farmed, caught, raised or bred locally this was the perfect dish to serve. For the main course Cheeky and I had to choose the grilled steak of deer loin rolled in pork bacon served with creamy mash potatoes and grilled mediterranean vegetables. Wow! 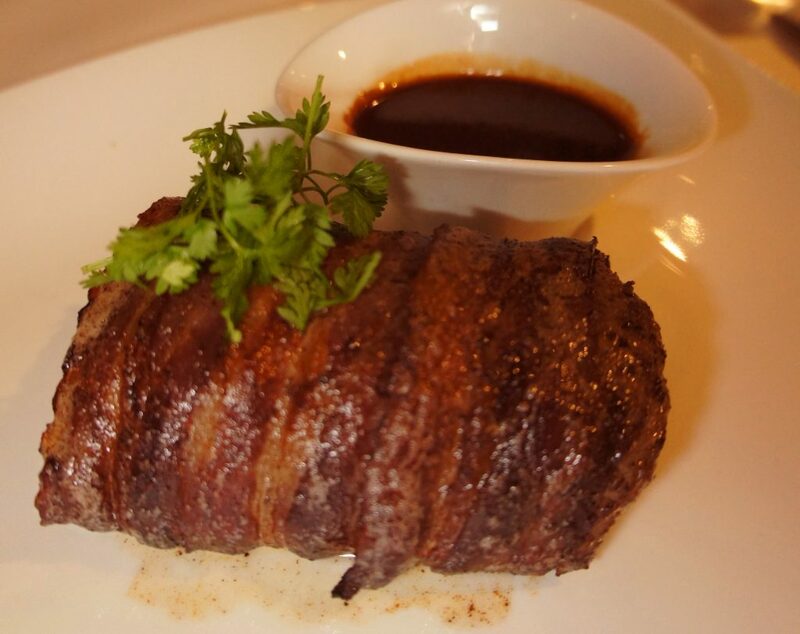 This was tender, succulent, a foodie’s heaven on a plate. Our waiter paired this course perfectly with a 2012 Argentinian Malbec ‘Ambrosia Precioso’, a strong red and black fruity wine, yet surprisingly silky smooth. To cleanse our very content palates, we opted for the homemade selection of very smooth icecreams and sorbets including such flavours as tonka bean and pistachio. Overall, the service was fantastic without being stuffy or too rigid, the atmosphere was relaxed and very laidback and the food was sublime. Once dinner was finished it was time to move to the ‘Roof Top Bar’. 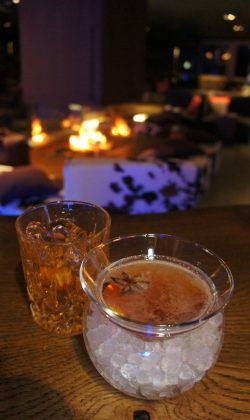 The bar was just as contemporary and very chilled out, with cozy corners to reside in and a central fire place for all to enjoy. Stefan Blumchen the barchef/mixologist looking after us with perfection, one could tell that he is an artist with a devotion and love for what he does. The cocktails were not only sensational on the eye, but Stefan researches and hunts down the finest ingredients to concoct fantastic cocktails and even make improvements on old favourites. It was quite easy for the hours to slip by drinking one’s way through the drinks menu whilst discussing ingredients and recipes. 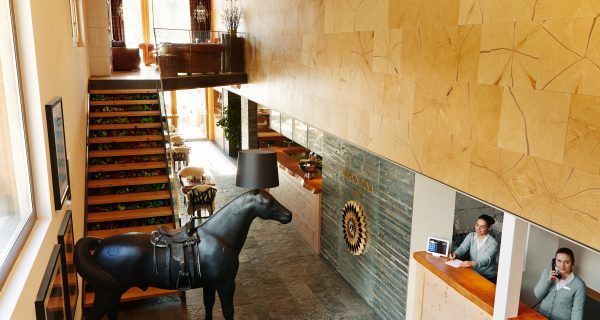 As well as ‘Stars’ The Nira Alpina also has a more traditional restaurant in the shape of ‘Trattoria’ which serves up more traditional italian dishes. 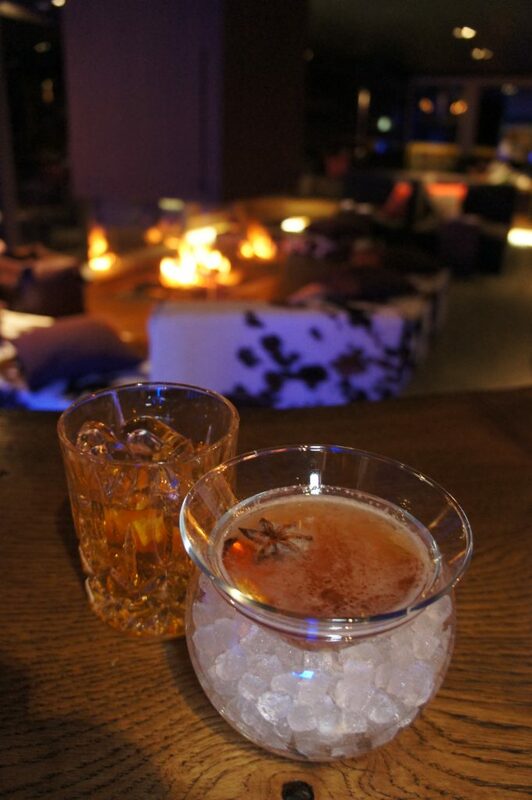 This is where you will find the more traditional pine clad Stubli surroundings and rustic fare. Make sure you try the freshly ground coffee. During the day one can also visit the onsite bakery where they they make fresh breads and pastries every morning. You will be drawn in by the gorgeous smells and once there, you probably will not want to leave as you pursue through the vast collection of luxury treats and drinks. Not that we used the Kids facilities, it is worth mentioning them. We saw the ginormous Kids Club and to be honest, I wish I was a kid again. Open during the winter season from 9am all the way through to 9pm, I am not sure how they do it! They have so much to entertain the children and even a multilingual library. 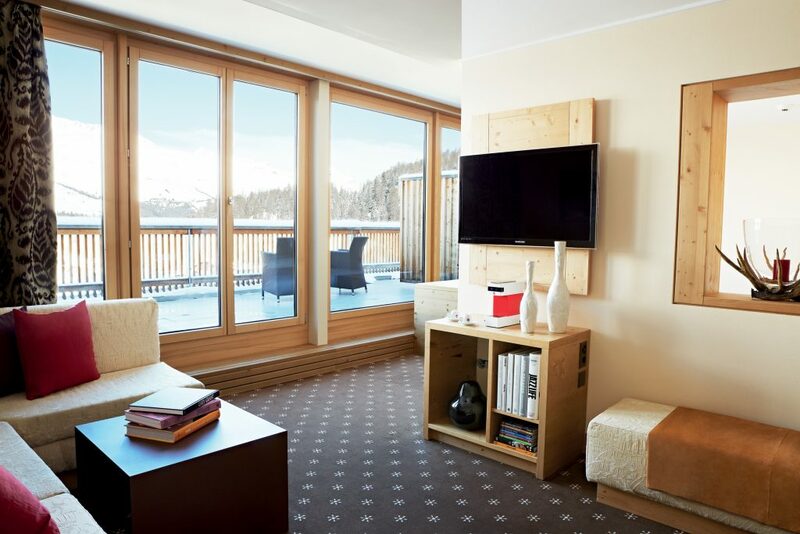 They can even arrange to meet the kids at the end of their ski lessons and take them to the Kids Club, which means more play time for the adults. Overall the Nira Alpina is a very stylish, fun, relaxed and laid back affair. For Cheeky and I it was the perfect mix of modern design and architecture to satiate Cheeky’s modern tastes but still with hints of Alpine materials and design to keep my regular requirement for Alpine surroundings. This is a place I would bring the whole family, keeping every generation happy from the highly successful kids club all the way up to the cosy rooftop bar and selection of restaurants. 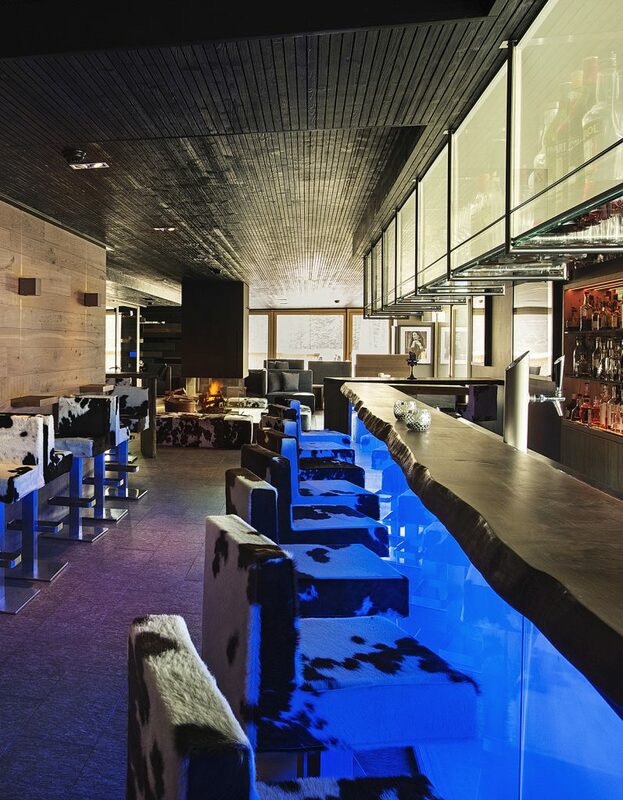 It is a place I would visit again and again for its food, design, space and direct access to great skiing terrain. In my books this stress free environment is the height of Vogue.